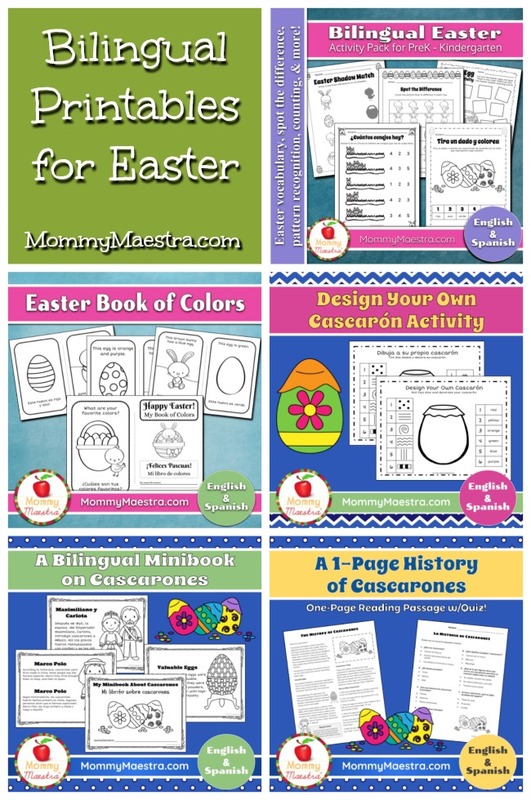 Can you believe that Easter is just a few days away? It snuck up on me! 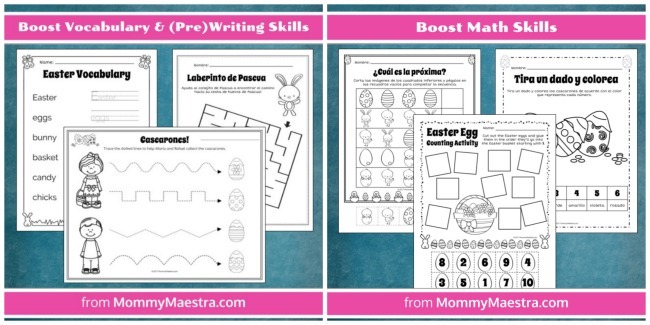 Boost your child’s literacy and math skills with this fun, Easter-themed packet! 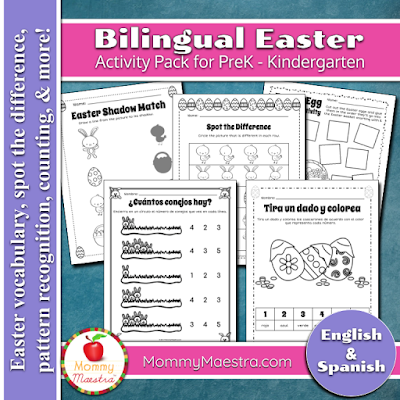 This multicultural packet contains images of both the Easter bunny and cascarones. • & How many do you see? 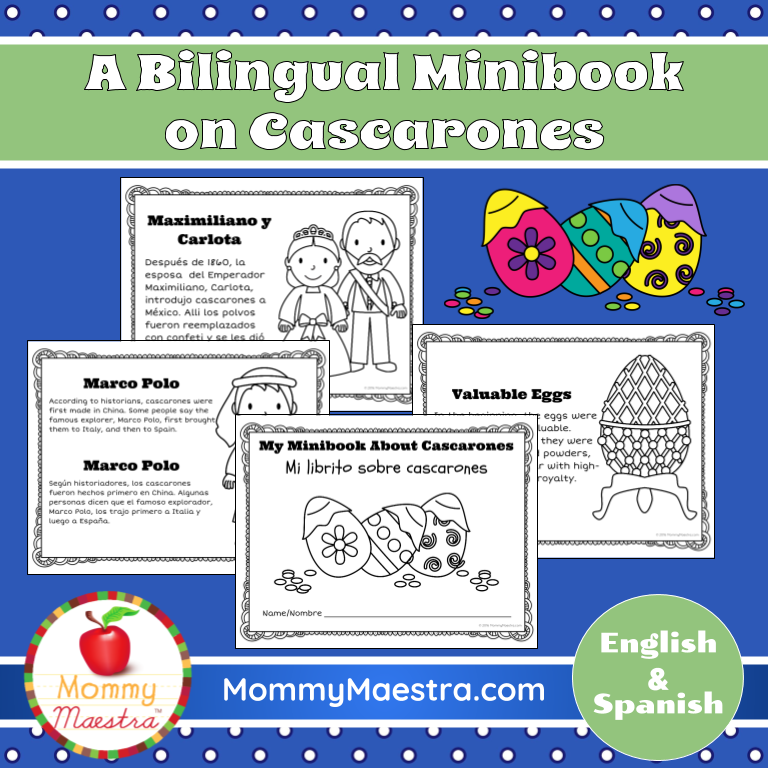 Find it in my TpT store or MommyMaestra shop. This is such a fun little booklet! 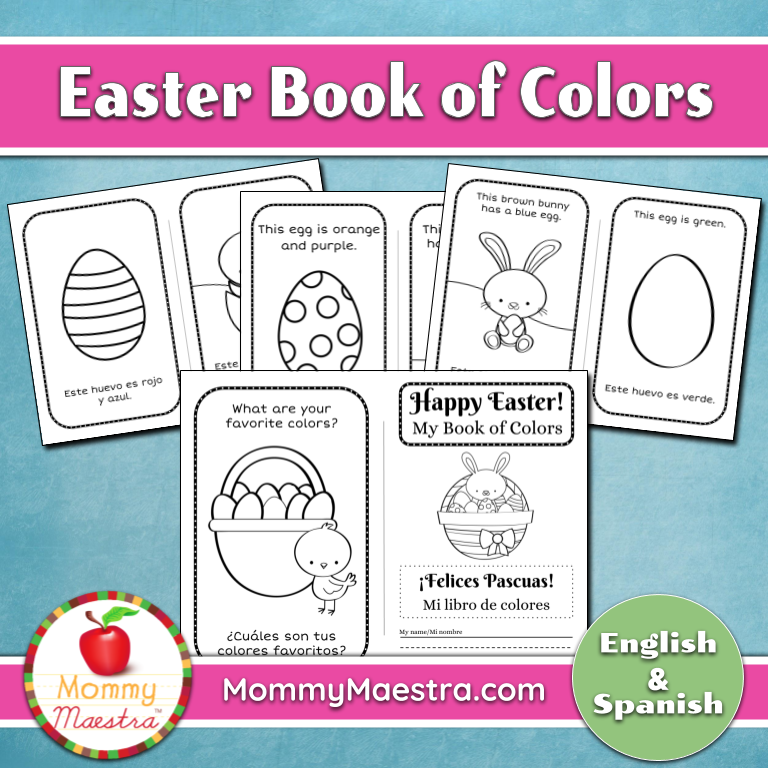 Help your preschooler or language learner to learn their colors with this Easter-themed coloring book. 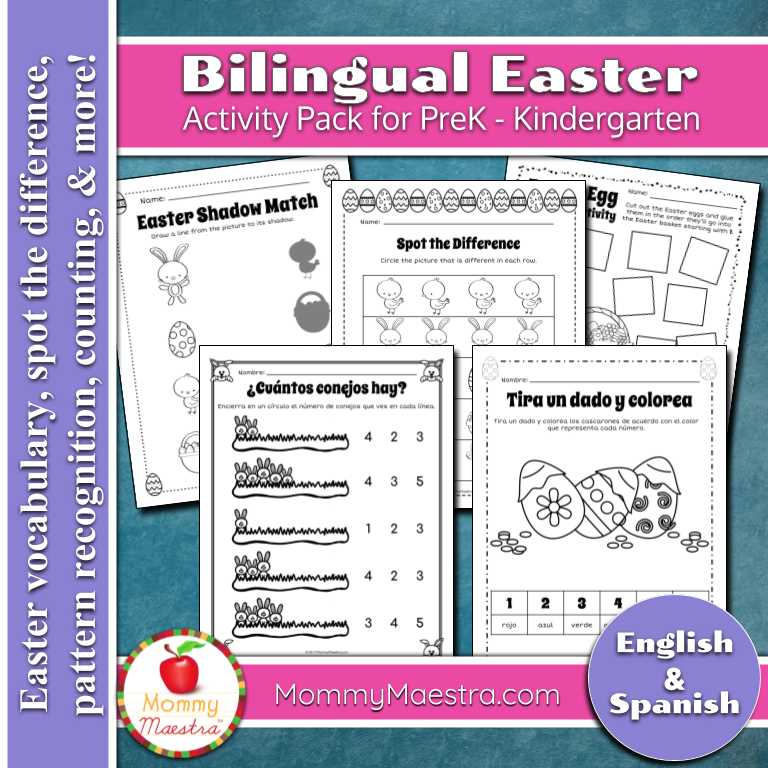 Great for supporting math skills! 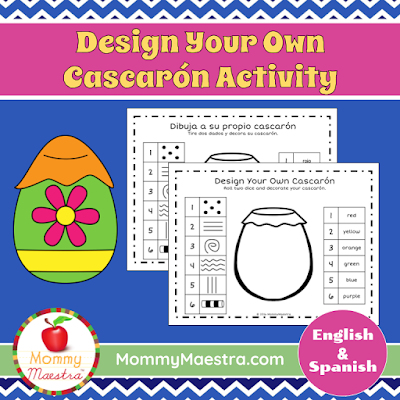 Roll the dice and decorate your cascarón using the options provided. Actually, this particular printable is good for ANY age. This mini-book is a brief history of the popular Hispanic craft of making cascarones. 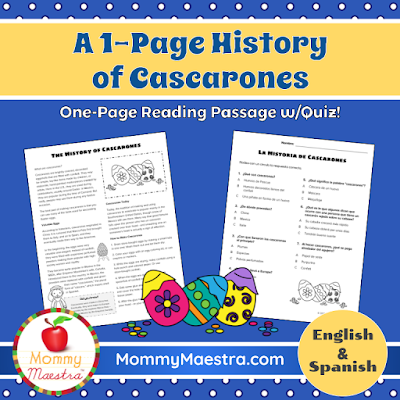 This book includes coloring pages of items related to the history of this craft, as well as brief descriptions in English and Spanish that are easy for young children to understand. 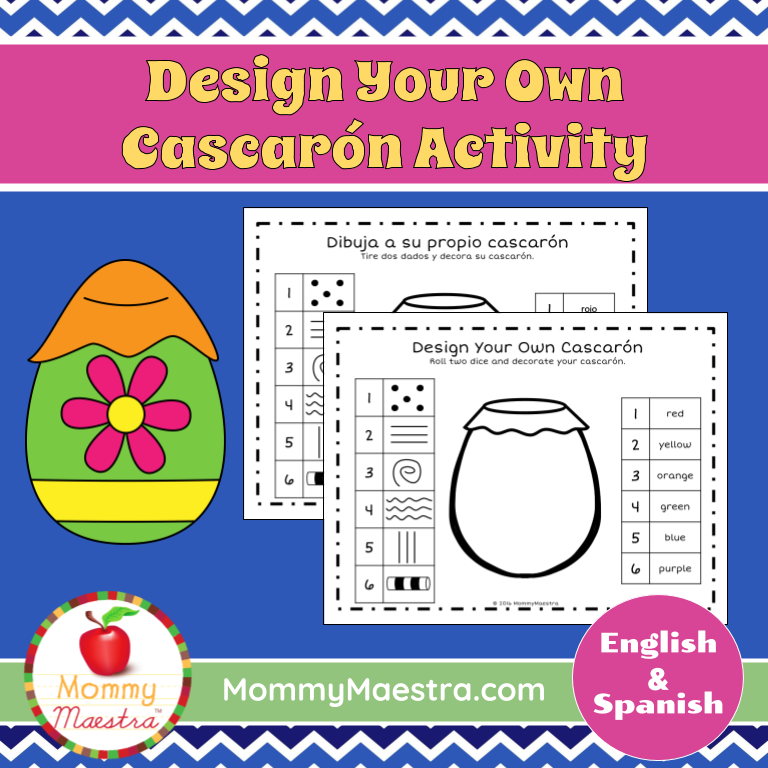 At the end of the book are simple directions in English and Spanish for making cascarones. This is a one-page history of cascarones. From where they originated to how to make them, this informational text is written for students in 4th - 8th grade. 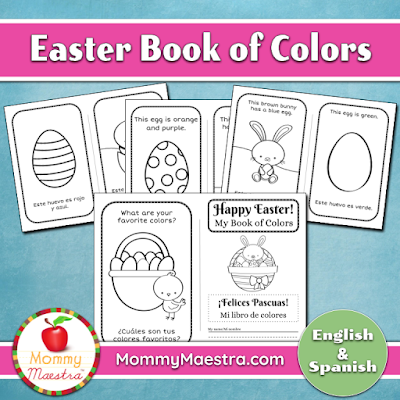 Includes a 7-question comprehension quiz plus answer key.